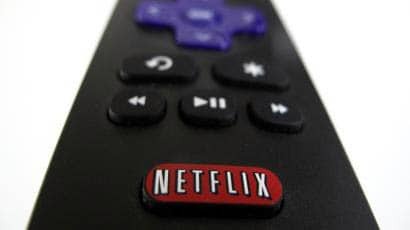 » The Best Streaming Services 2019: What’s Out There Other Than Netflix? Streaming services have taken over where cable TV, satellite, DVDs and Blu-ray left off. More and more people are switching from cable or satellite to online content providers, but of course, this is old news. There is now a wide range of great streaming sites as competition for Netflix. The only problem is that it’s a very lively and competitive market. Not everyone knows where to go or what to pick. That’s why today I’m giving you my guide on the best streaming services. If you continue reading, you’ll leave with a better understanding of what the best streaming services are and why they’re so good. Let’s check it out. Before we get into the actual list I’ll share some of my tips for how I search for streaming services and how I decide what makes them good. There are several important factors to take into consideration. The first thing I’ll talk about is the price. I won’t spend too much time discussing money throughout this article but the fact is that so many streaming services are initially attractive because of how affordable their plans are. As more people switch over from conventional television like cable or satellite to streaming services, they quickly realize just how much money they end up saving. You should always be mindful of the best deals that are available online. The next important aspect of the best streaming services is their 4K library and support. While 1080p is still the most common resolution, many people would rather go the extra mile, myself included. Ultra high definition is four times the pixel count of standard HD. Some people won’t even touch a streaming service if 4K is not supported. If you are one of those people then have no worry as I’ll be pointing out whether or not 4K is available. Arguably the most important aspect in deciding what makes the best streaming services is their content. Any streaming service ultimately relies on the quality and size of its library. If the programs available aren’t any good or if there isn’t much of a selection, the rest won’t matter much. Below I’ll have a description of each of the best streaming services’ library size as well as a rundown of some of their most popular shows and programs. While these three are the biggest things to look out for, it is also a good idea to pay attention to smaller things like whether or not there are ads and how many, DVR support, the UI and search function and stuff like that. Paying attention to the kinds of audiences that each best streaming service is aimed for is also important. Now let’s begin taking a look at the best streaming services available. It’s true; the streaming service that started it all is still one of the most reliable places to go to. Netflix is and always has been one of the best streaming services. Its initial popularity and the incredible amount of buzz that it made is by far the number one reason why any of us are using streaming services as much as we do. Netflix still has, and maybe even deserves, a borderline monopoly on the streaming service market. First of all, their prices have always been very reasonable. I’ve seen some articles that say that Netflix is a little pricier than average but frankly, I’ve never agreed with this, even when it comes to their pricier subscription plans that include 4K streaming. I am in the majority when I say that I’m surprised that Netflix isn’t more expensive. As far as value for your buck goes, they may be the best. One of the cooler things about Netflix is that they have multiple subscription options. This probably explains a lot about why they are so popular – because they attract a wide variety of people with different tastes. More streaming services ought to take a page out of Netflix’s book when it comes to this. Their cheapest option is called Basic and costs $7.99 a month. You’re limited to only one viewing account at a time and only have access to standard definition – that means 480p only, no 1080p. Their middle option is by far their most popular and is called Standard. It costs $10.99 a month. Several accounts can be used for sharing with relatives or friends and two different accounts can watch simultaneously. Standard also includes 1080p which makes it much more attractive than the Basic plan. The last option is Premium and costs $13.99 a month. Four people can watch simultaneously and more importantly, it allows for 4K viewing. 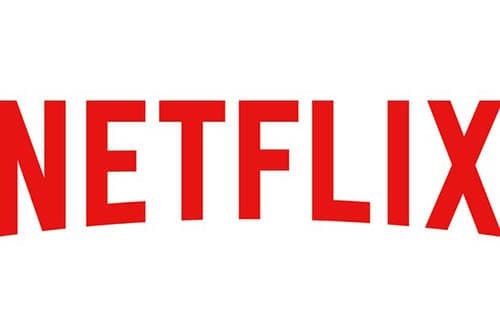 Many of Netflix’s programs, including originals, are featured in 4K. If you have a nice ultra-high definition television set then I would highly recommend going for Premium. Their 4K list grows all the time and currently supports over 500 items, including Stranger Things, A Series of Unfortunate Events, Black Mirror, Longmire and Better Call Saul. Netflix is also still my go-to service for stand-up comedy with new acts being hosted often. Jerry Seinfeld, Tracy Morgan, Joe Rogan, Chelsea Peretti, and Bill Burr are just some of the many great stand-up shows that are all ready to watch now. Netflix has also done a good job at improving their UI. A year or two ago I remember it being pretty standard but now it is so much more intuitive and it’s easier on the eyes. Because of their massive amount of original programs, the home page always displays their “Now Featured” titles. That list just seems to grow and grow each time I check it. Because their library is so big, the UI has gotten more compact to the point that you can display dozens of posters on screen at once. Browsing their massive repository is simple and fast. If anyone is capable of giving Netflix a run for its money in the future as the best streaming service, then it’s probably Hulu. Like Netflix, Hulu is a great option for being an all-rounder streaming service. Hulu has an impressive library with a wide variety of genres, comedy, drama, documentaries, anime, children’s programs and more. Many people tend to have this conception of Hulu as just a slightly inferior version of Netflix, but this actually isn’t the case. Hulu does indeed have a couple of benefits that not even Netflix has. It’s these unique features that make Hulu one of the best streaming services. For one thing, they have a wide variety of customizable payment plans, even more than Netflix. Their standard and most popular option is only $7.99, though this comes with ads. For $11.99 you can get an ad-free experience. There’s also a live TV package that allows you to stream dozens of channels live, though this comes at a heftier price of $39.99. However, since this package is meant to emulate more of a cable experience, the 40 dollar price range actually isn’t so bad if you’re the type of person who likes channel surfing or other classic TV elements. My personal favorite thing about Hulu is that even in their standard plan they get very quick access to all new episodes of on-air programs. With Netflix, you’ll have to wait for months after a new season has completed to get access to it. This includes shows like Brooklyn Nine Nine, Better Call Saul or The Last Man On Earth. Netflix by itself is great, but what some people are doing now is using several different streaming services each month. It’s impossible to get access to every good show by only sticking to one service. It’s like only having access to half of the channels provided by cable or satellite services. Not to mention the fact that Hulu has begun building up its own repertoire of great exclusive originals. Must-watch shows are ultimately the bedrock of any prime streaming service. As long as Hulu keeps on producing and delivering titles like Freakish, The Handmaid’s Tale, The Hotwives, and Difficult People, it will always remain one of the best streaming services out there. The commercials are admittedly an inconvenience but Hulu offers less of them than the standard four-minute blocks that cable comes with. If you’re going straight from cable to Hulu then you’ll see it as an upgrade. Anyone else might already be spoiled by commercial-free services and see things in a different light though. In my opinion, the extra four dollars per month to remove the ads isn’t absolutely essential. The ads aren’t pervasive enough to warrant the additional cost necessarily, but they do occur frequently enough to dampen the experience. It’s not too much to tolerate relatively comfortably. All Hulu originals are available in 4K, along with several movies such as a James Bond: 007 collection, but unfortunately, this is sparse compared to what the other best streaming services have to offer. I still remember being somewhat surprised when Amazon announced their streaming service, and like many others, I didn’t think they would stay in the ring for long. A couple years have passed and I have been proven quite wrong. 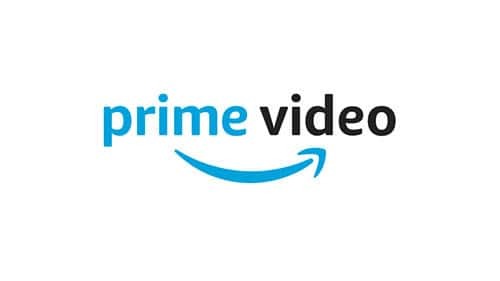 Arguably one of the main reasons why Amazon Prime Video is still well used and often considered one of the best streaming services is because of the Amazon Prime deal itself. Almost assuredly, this is Amazon’s way of trying to corner the market. With their online marketplace effectively acting as the Walmart of the internet, and millions of their clients already signed up for Amazon Prime, it seems to be a tactic that has worked well in their favor. Amazon Prime Video is a great pick, not only for people who use their marketplace often but for anyone who happens to enjoy a mix of family-friendly content and comedies or sitcoms. Due to a variety of corporate deals and partnerships that Amazon has been able to afford, they have access to killer shows like The Simpsons, Rick and Morty, and Futurama. Anyone that has a thing for Comedy Central or Nickelodeon programs will feel at home with Amazon Prime Video. For years, people have been saying that Amazon Prime Video hasn’t been able to compete with Hulu or Netflix because they lack enough shows. Netflix and Hulu have Stranger Things and The Handmaid’s Tale respectively, each show dominating award shows and viewer counts. Well, it just so happens that Amazon Prime Video has finally made its mark with the new period-piece “dramedy” The Marvelous Mrs. Maisel which has gotten more buzz and attention after its recent second season. Countless people gladly added Hulu or Netflix to their subscriptions list just to get a taste of the best show on television at the time and now it seems that The Marvelous Mrs. Maisel is creating the same kind of ripple effect. While they don’t have as many originals as Netflix, they arguably have a better track record overall. Prime Video has also released acclaimed exclusives like The Tick, Bosch, Transparent, Homecoming, Vanity Fair and Mozart in the Jungle. At this rate, they’ll only have more originals to help their library. They also have an impressive 4K and HDR library that is at least as robust as Netflix’s, if not better. Costing only $10.99, in addition to regular Amazon Prime benefits, it is arguably the best overall value on this list. They don’t have the best UI and it certainly doesn’t feel as natural as Netflix’s but it’s adequate. I’ve always considered Twitch to be one of the best streaming services, not just because of its cool niche content but because of how fascinating an idea that it is. If you’re a gamer like me, then odds are you’ve definitely heard of Twitch. Twitch, however, doesn’t have the same kind of mainstream appeal or reputation that the previous three best streaming services have for other folks. Twitch has made my list because of the numerous unique things that it accomplishes that few other services were able to pioneer, let alone pull off at all. Twitch is a free online channel that hosts gaming streams. It isn’t about primetime award-winning shows or thousands of movies. Any person is able to sign up for free to host their gaming content, whatever it may be. There’s a surprising amount of variety to be found on twitch, and thousands of people are always live. While certain titles and genres tend to be the most popular, anyone that likes any kind of game or host can track down something that they would enjoy. Fans of popular games like Overwatch, Fortnite, League of Legends, Starcraft 2 and Dota 2 have all certainly heard of twitch. Each of these games has thousands of streamers that tend to have their own schedules. Twitch is also the place to go to if you’re into e-sports. Every big and major tournament is streamed live on Twitch, whether it’s for fighting games, strategy games, co-op games or speed running marathons like the popular charity for cancer organization Games Done Quick. Arguably the biggest benefit to using Twitch is that it has the same aspect as video games themselves – interactivity. Viewers can communicate in the chat room and comment on the exciting or hilarious moments as they happen in real time. Many streamers have developed their fan base by taking advantage of talking to the viewers and not just focusing on the game. It can take time to find them but some of these streamers have a silver tongue, not unlike great stand-up comedians. Many popular streamers have made a name for themselves on Twitch. There’s the sharp and witty variety gamer Avoiding The Puddle who is as hilarious as he is abrasive. He’ll play anything he feels like including Tekken, Dark Souls or Resident Evil and still has thousands of loyal fans and has attracted all kinds of different gamers. Then there’s the more relaxing and easy going Fortnite and Overwatch players like Pokimane who was awarded Twitch Streamer of the Year in 2018. She has millions of Youtube subscribers and has fans of all ages. It can be hard finding content if your tastes don’t lie in multiplayer MOBAs or battle royale games, which is one of the more annoying things about using Twitch. Fans of horror, puzzle, adventure or story-based games often have much less content to pick from compared to Fortnite fans. The exception, however, is when a game like this is an all-new bestseller like last year’s God of War. The final choice for my list of the best streaming services has to be HBO Now. One of the reasons why HBO Now is such a strong choice is because of the premium reputation and library that HBO has made for itself over the decades. The other best streaming services are all relatively new compared to HBO. HBO is special because they have been a leading force in the furthered production of premium television shows. It was in the late 1990s when they released shows like Oz and The Sopranos that finally proved to the world that television can have the same quality writing, acting, and production value of cinema and film. Even to this day thanks to these legendary originals many people, myself included, consider HBO one of the best and most important television channels in history. Their track record for putting out masterpieces is undeniable, whether it’s Six Feet Under, Game of Thrones, Deadwood, The Wire or Curb Your Enthusiasm. Even now, HBO offers some of the best shows on television including Game of Thrones, Veep, and Westworld. Surprisingly, they offer no 4K or HDR compatibility. This is an awful shame as they produce some of the most expensive television productions in history. Their content will cost you a monthly fee of $14.99, which is a small price to pay if you love HBO’s content. HBO Now definitely offers quality over quantity, so if you’re a fan of any of their programs, it’s worth it. 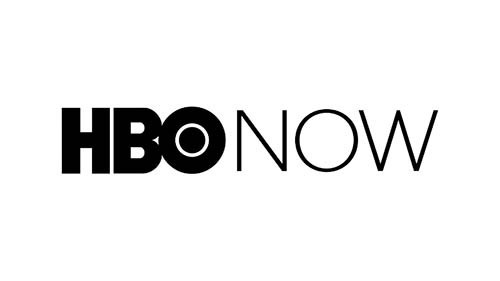 HBO Now certainly doesn’t have the largest library out there, but they do have some great news and syndicated comedies to go along with their more adult-oriented dramas and comedies. The best thing I can recommend to readers is to supplement HBO Now with another one of the best streaming services that sports a bigger library. As long as HBO’s exclusives remain the best in the business, they will always have a place in the market. Thank you for reading my list of the best streaming services. None of them are flawless but they all have something to offer that will appeal to people of different tastes.